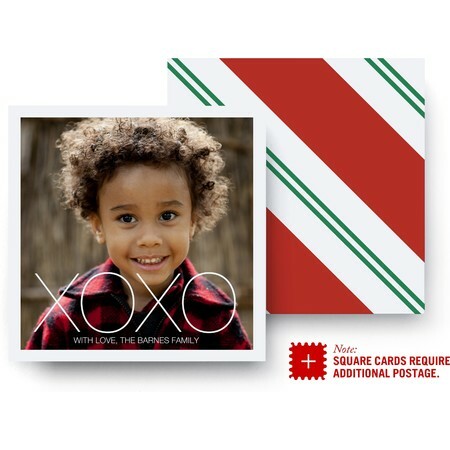 As festive as a candy cane – and just as sweet – with your personalized message and favorite photo. Ultrathick square photo cards ship with a $0.71 USPS stamp. However, if you include extra photos or notes in your envelope, you may require additional postage. Please check with your local USPS office to determine final postage.